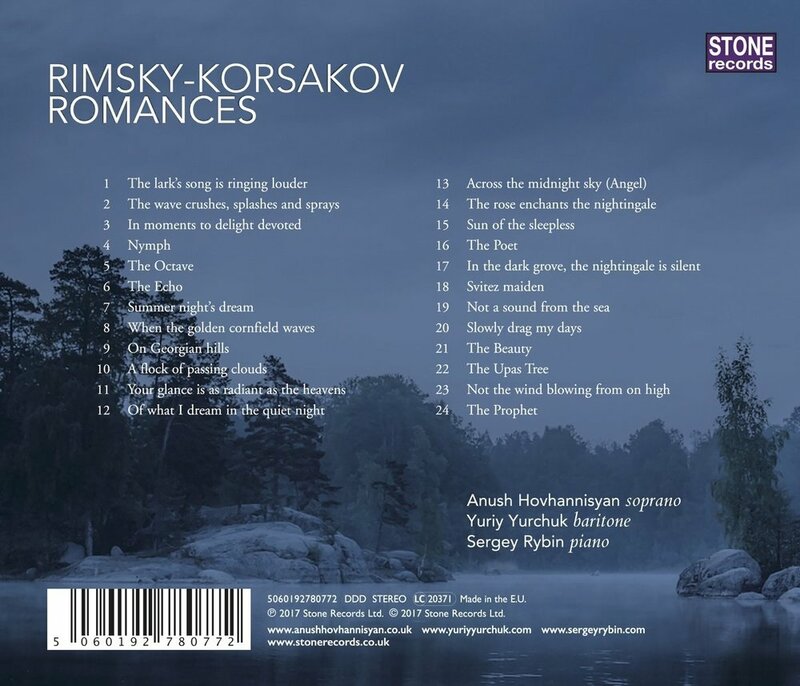 The Rimsky-Korsakov Album is now released and is available on Stone Records website, as well as Itunes, Google Play and Amazon. "With the exception of The Nightingale and the Rose, Rimsky’s art songs are less well known than they deserve, so it is astute of Stone to present two rising young artists in a disc entirely devoted to these beautiful Romances. The Armenian Hovhannisyan wraps her bright, sensuous soprano around this famous number, but it is the Ukrainian baritone Yurchuk’s wonderful legato and superb Russian delivery that make this collection irresistible." "A gorgeous fest of Rimsky-Korsakov neglected Romances, rich in melody and colour. The two terrific, impassioned young singers are ones to watch." Both share the honours, roughly alternating songs. Rimsky-Korsakov’s piano parts are perhaps not as demonstrative as some, erring on the side of flowing accompaniment, but Rybin brings out plenty of character. Sergey Rybin provides an excellent article in the CD booklet introduction the composer and his music, and there are full transliterated texts (no Cyrillic) and translations. This is one of those discs that you feel ought to have been produced years ago. By my reckoning, there is material for a further three CDs!